Prospective comparison treatment of 595-nm pulsed–dye lasers for virgin port-wine stain. Yu W, Ma G, Qiu Y, Chen H, Jin Y, Yang X, Chang L, Wang T, Hu X, Li W, Lin X.
Br J Dermatol. 2015 Mar;172(3):684-91. doi: 10.1111/bjd.13356. Epub 2015 Jan 28. Superficial hemangioma: pulsed dye laser versus wait-and-see. Kessels JP, Hamers ET, Ostertag JU. Dermatol Surg. 2013 Mar;39(3 Pt 1):414-21. doi: 10.1111/dsu.12081. Epub 2012 Dec 26. Accelerated resolution of laser-induced bruising with topical 20% arnica: a rater-blinded randomized controlled trial. Leu S, Havey J, White LE, Martin N, Yoo SS, Rademaker AW, Alam M.
Br J Dermatol. 2010 Sep;163(3):557-63. doi: 10.1111/j.1365-2133.2010.09813.x. Using the ultra-long pulse width pulsed dye laser and elliptical spot to treat resistant nasal telangiectasia. Lasers Med Sci. 2010 Jan;25(1):151-4. doi: 10.1007/s10103-009-0713-0. Epub 2009 Jul 28. Clinical effect of a single pulsed dye laser treatment of fresh surgical scars: randomized controlled trial. Alam M, Pon K, Van Laborde S, Kaminer MS, Arndt KA, Dover JS. Granuloma faciale treated with the pulsed-dye laser: a case series. Clin Exp Dermatol. 2005 Jul;30(4):373-5. Treatment of hemorrhagic lymphatic malformation of the tongue with a pulsed-dye laser. Wang LC, Krunic AL, Medenica MM, Soltani K, Busbey S.
J Am Acad Dermatol. 2005 Jun;52(6):1088-90. Erratum in: J Am Acad Dermatol. 2005 Sep;53(3):496. Does pulse stacking improve the results of treatment with variable-pulse pulsed–dye lasers? Rohrer TE, Chatrath V, Iyengar V.
Dermatol Surg. 2004 Feb;30(2 Pt 1):163-7; discussion 167. Dermatol Surg. 2003 Jul;29(7):681-4; discussion 685. Treatment of facial telangiectasia with variable-pulse high-fluence pulsed-dye laser: comparison of efficacy with fluences immediately above and below the purpura threshold. Alam M1, Dover JS, Arndt KA. : Pulsed-dye laser treatment has been shown to be highly effective for the treatment of facial telangiectasia. Posttreatment purpura after such treatment has limited patient acceptance of the procedure. : To determine whether purpura-free treatment with recently introduced variable-pulsed pulsed-dye lasers can effectively reduce facial telangiectasia. : This was a prospective, randomized, controlled, nonblinded trial. 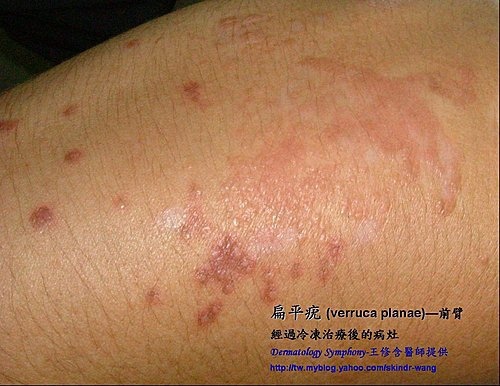 Eleven patients received variable-pulse pulsed-dye laser treatment with and without induction of purpura. 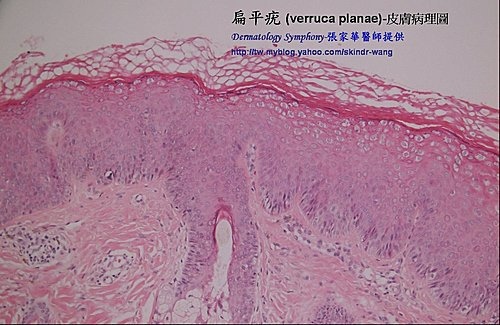 Telangiectasia were graded on a “telangiectasia density scale," on which a 1 signified extremely fine, sparsely distributed telangiectasia, and 5 referred to thick, ropelike telangiectasia covering the affected area. For each subject, two areas on either side of the facial midline with equivalent telangiectasia density ratings were randomized to the purpura and purpura-free treatment groups, respectively. All treatments used a 7-mm spot size and a 10-ms pulse duration. The fluence associated with the purpura threshold for each patient was determined in test areas. Purpura-free treatment entailed a fluence 1.0 J/cm2 less than the purpura threshold, and purpura-level treatment entailed a fluence 0.5 J/cm2 greater than the threshold. : Six weeks after a single purpura-free treatment, mean telangiectasia ratings were reduced from 2.7 to 2.4. Purpura-level treatments resulted in a decrease to 1.4 from the same baseline. Thicker, denser telangiectasia appeared to benefit more from purpura-level treatment (a mean telangiectasia density scale reduction of 1.7) than finer, sparser telangiectasia (a mean reduction of 0.8). In 81% of cases, both investigators and patients rated the side treated with purpura as undergoing a greater reduction in telangiectasia density. 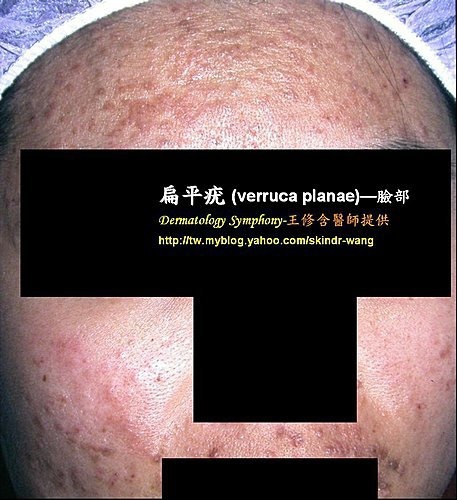 : Although facial telangiectasia do improve after a single purpura-free treatment with the variable-pulse pulsed-dye laser, they improve more after purpura is induced. Purpura-free and purpura-level treatments may be close to equivalent for treating fine telangiectasia, but purpura-level treatments have a distinct advantage for treating thicker telangiectasia. Significantly, the variable-pulse pulsed-dye laser offers patients the option of effective treatment of some telangiectasia without bruising. Does pulse stacking improve the results of treatment with variable-pulse pulsed-dye lasers? Rohrer TE1, Chatrath V, Iyengar V.
It has been suggested that multiple stacked pulses of lower fluence may have a similar effect on targets as a single pulse of higher fluence. When treating vascular lesions, increasing the fluence beyond a certain point will increase the risk of purpura given a constant pulse duration. Stacking pulses of lower fluence may have the advantage of heating vessels to a critical temperature without creating purpura. To determine whether stacking low-fluence pulses of a variable-pulse pulsed-dye laser would improve clinical results without significantly increasing side and adverse effects. Twenty-five patients between the ages of 18 and 65 years with facial telangiectasia and skin types I-IV were enrolled in the study. For each subject, the cheek or nasal ala areas on either side of the facial midline with similar telangiectasia density ratings were randomized to single pulse and multiple stacked pulse groups. One side of the cheek or nasal ala was treated with single nonoverlapping pulses with the Candela Vbeam 595-nm pulsed-dye laser. The opposite side of the cheek or nose was treated with the same parameters but with three or four pulses stacked on top of each other at a 1.5-Hz repetition rate. Patients were asked to rate the pain of the procedure on each side on a 0 to 3 scale. Investigators rated the erythema and edema after the procedure as well as vessel clearing and overall telangiectasia density scale at 1 and 6 weeks after the procedure. Twenty-three patients completed the study. The mean pain rating was 1.58 for the pulse stacked side and 1.38 for the single-pass side. The mean erythema score after the procedure was 1.17 for the pulsed stacked side and 1.09 for the single pulsed side. The mean vessel clearing 1 week after the treatment was 74.3% for the pulse stacked side and 58.5% for the single pulsed side. The mean vessel clearing 6 weeks after the treatment was 87.6% for the pulse stacked side and 67.4% for the single pulsed side. The mean telangiectasia density scale score before treatment was 2.67 for the pulse stacked side and 2.59 for the single pulsed side. At 1 week after treatment, the mean telangiectasia density scale score was 1.06 for the pulsed stacked side and 1.5 for the single pulsed side. At 6 weeks after treatment, the mean telangiectasia density scale score was 0.72 for the pulsed stacked side and 1.30 for the single pulsed side. No patients experienced purpura in either group, and there were no cases of hyperpigmentation, hypopigmentation, or scar formation. One patient experienced significant edema on the side of the cheeks treated with pulse stacking. Treating superficial facial telangiectasia with a pulse stacking technique may improve clinical results without significantly increasing adverse effects.